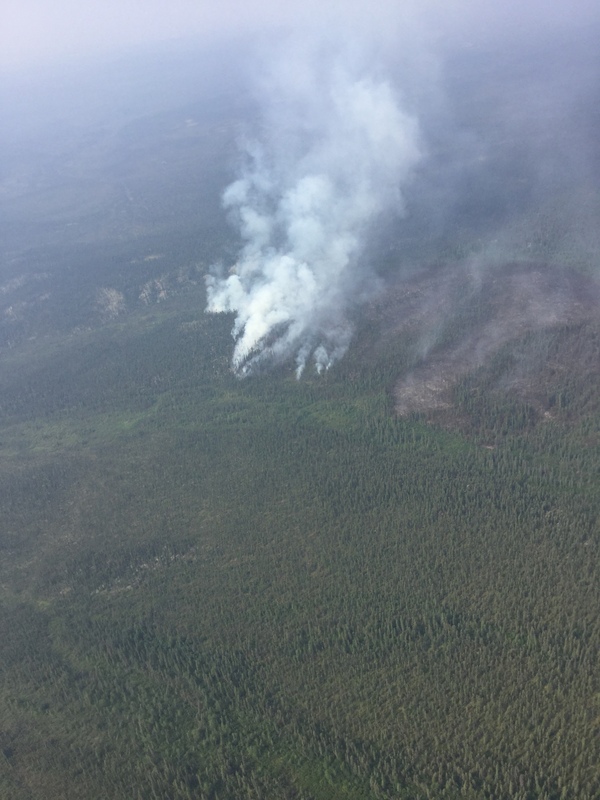 FAIRBANKS, Alaska: An Alaska Fire Service detection flight discovered the lightning-ignited Lockwood Fire on Wednesday afternoon, July 15, 2015. The fire is located northeast of Lockwood Hills, in a remote area of Gates of the Arctic National Park and Preserve. Fire managers conducting aerial reconnaissance reported the fire was approximately 100 acres in size, backing, with isolated torching, and 0.25 mile spotting in black spruce and hardwood mix. There are no threats to structures at this time. The fire is burning in a limited protection area and has been placed in monitor status. As the wildland fire protection agency for the area, the BLM Alaska Fire Service Galena Zone is working closely with the National Park Service to monitor the fire. Fire in the boreal forests of the Alaska is a natural process that restores ecosystem health and wildlife habitat. Fire managers will take measures to protect life or property as needed. Fire managers are committed to providing firefighter and public safety while practicing sound science and wise stewardship of our natural and cultural resources. Alaska wildland fire managers work together to protect values, keep landscapes healthy, and ensure Alaskans, visitors, and firefighters stay safe and informed. There will be no additional updates on the Lockwood Fire unless significant changes occur. Additional park information can be obtained at the Fairbanks Alaska Public Lands Information Center by calling (907) 459-3730 between 8:00 am – 5:00 pm daily or by visiting the website at http://www.nps.gov/gaar.